Anyone that wants a fart-in-a-jar to appear in Saints Row: The Third better speak up now. 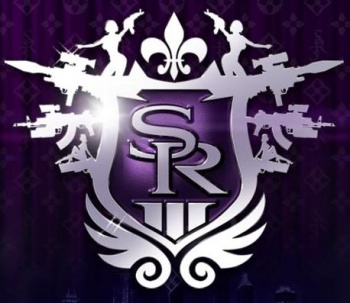 After Saints Row: The Third was officially unveiled, developer Volition talked about the process of figuring out what would be appropriate for the game's over-the-top sense of humor. One item that didn't make the cut was the fart-in-a-jar grenade. This apparently enraged fans, so Volition is giving them a chance to have their voices heard. A tweet from the Saints Row twitter account reads: "Seriously - Let us know if you want #fartinajar in Saints Row: The Third. We want to hear from all of you!" If you want the fart-in-a-jar to be reintroduced to Saints Row, reply to the account using the "#fartinajar" hashtag. The fart-in-a-jar grenade would evidently contain an extremely potent quality of gas. Anyone near its smashing point would vomit uncontrollably, allowing players to easily murder them. Even in Saints Row, would it really feel right carrying around an arsenal of farts... in jars? It's a silly item, but how one actually gets a fart into a jar is beyond me. If Volition were to put the weapon in the game, I think it'd have to also create an entire fart-in-a-jar factory and side mission to explain the truth behind it.